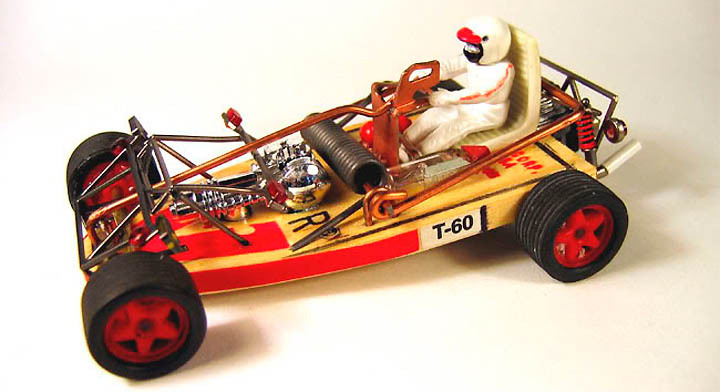 While the present generation has thoroughly moved into the digital age, for millions of people before them slot cars were a cherished feature of childhood; and, for a few wonderfully eccentric hobbyists, they are still the next best thing to climbing into turbo-charged reality, smashing the gas pedal down, and roaring into the thrill of the race. The track is modular, allowing an almost infinite number of configurations: from the Monaco Grand Prix to Germany's Nürburgring. It has two power strips and the cars have fickle brushes to pick up the power as well as a neat little electric motor to make the wheels go 'round. 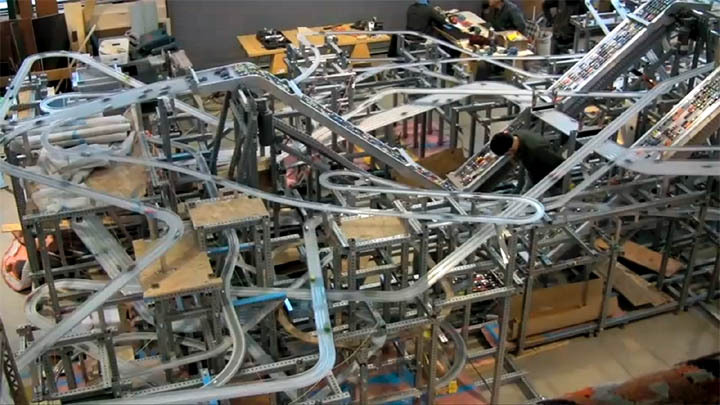 However, what those already-mentioned eccentric hobbyists have done with that simple concept is truly staggering: from cars that are exquisitely detailed and painstakingly reproduced from high-performance reality - to tracks that run from exact scale copies of legendary circuits to totally insane fantasy. 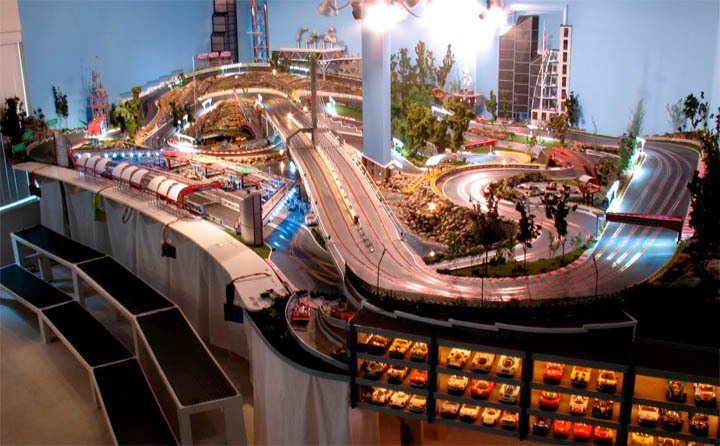 It seems that slot cars have become the medium for a dazzling amount of creativity. 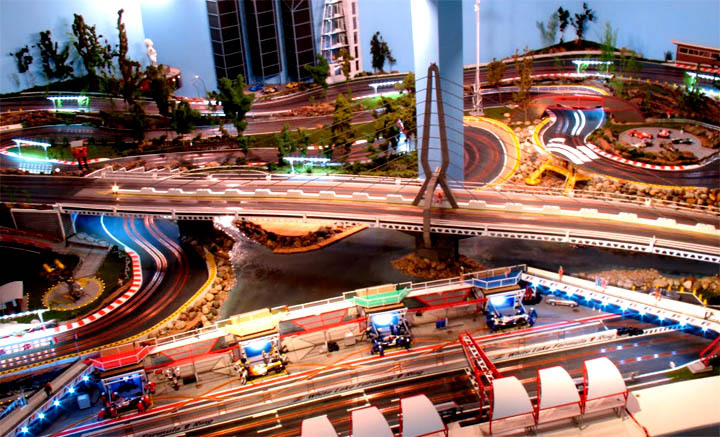 And here's where art and beauty meets slot car fun. Why does a track have to be just loops and hammerheads and all that? Here's a really fun and unique approach to racing: a hill climb! 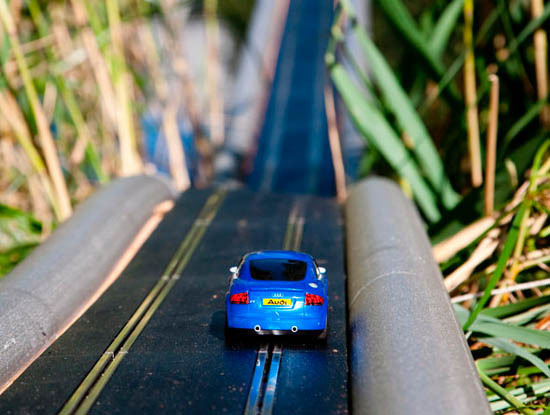 Even though they may be small in stature, that doesn't mean the slot cars can’t be ... well, 'immense' doesn't quite fit but you have to admit the track that was created by journalist, and Top Gear presenter, James May for his wonderful BBC series Toy Stories, has a huge amount of WOW power: ladies and gentlemen, auto enthusiasts of all scales, the world's longest slot car track! If you don’t know James May and his Toy Stories Show, you really should: determined to reintroduce 21st century kids to his own beloved childhood hobbies, he – with the help of the great British public – created and assembled a full-size model Spitfire, a Meccano bridge strong enough to support a man, a Lego house big enough to actually live in, an entire garden made out of Plasticine (and enter it into the Chelsea garden show), then a ten mile long model train track. 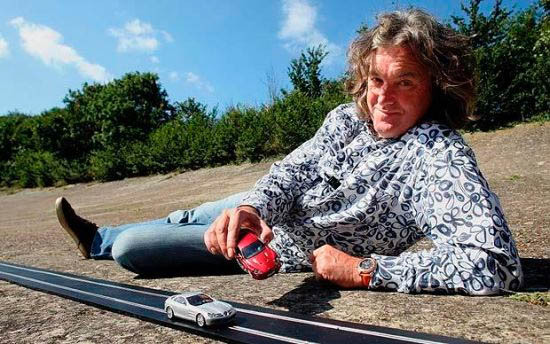 But the episode we're interested in is the one done as a celebration of Scalextric (the British slot car manufacturer) as well as the legendary Brooklands racetrack. Using planning that rivaled putting on a Grand Prix, James created a 2.75 mile long track - watch video - that followed the original race course. 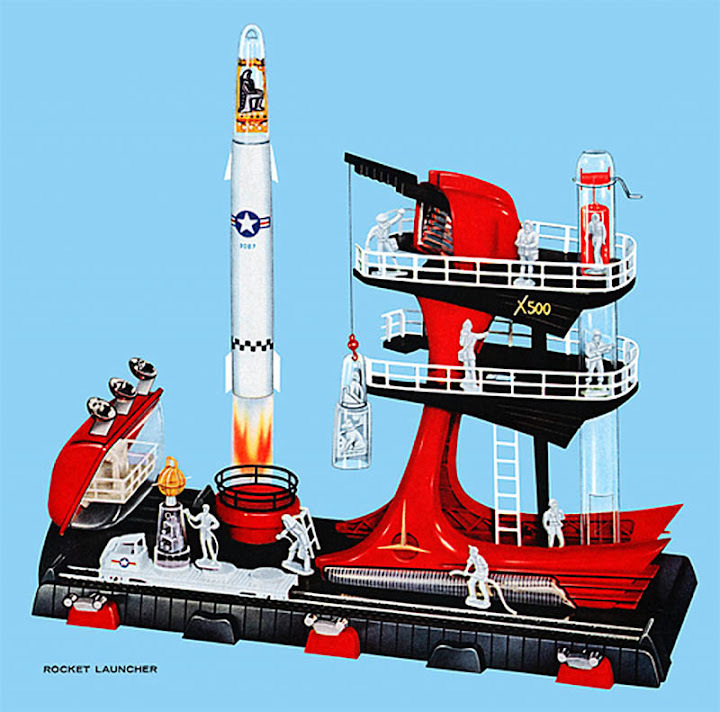 When it was finished, the flag was dropped and two teams – one made of slot car enthusiasts and one of just local folks – blasted at scale speeds towards the finish line. But since it wasn't possible to power the entire length of the track a relay system had to be used, so as the car passed from one section of track to the other someone new had to take control. 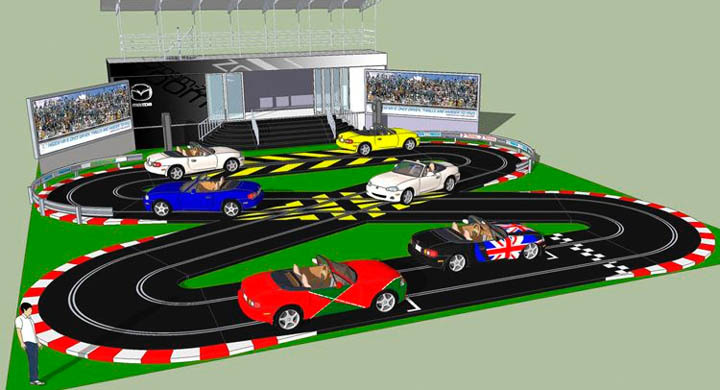 Another video to watch is here... Well, if you think that James May's celebration of both Scalextric and Brooklands was wild, check out the plans that Mazda has for the famous Goodwood Festival of Speed: no less than a life-size slot car track. That kid in the last pic is going to haunt my dreams. That's so cool! 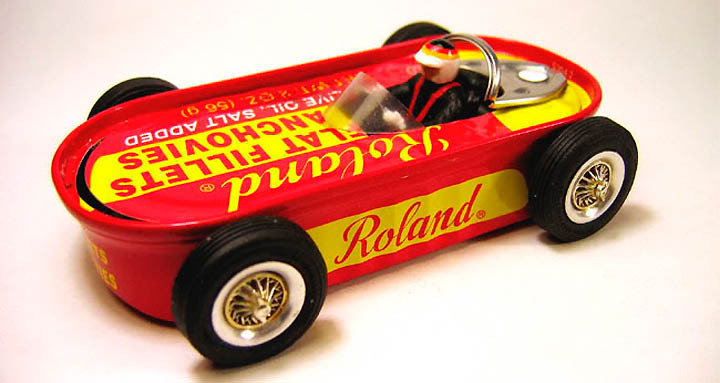 In my childhood I always wanted to have such toy cars! 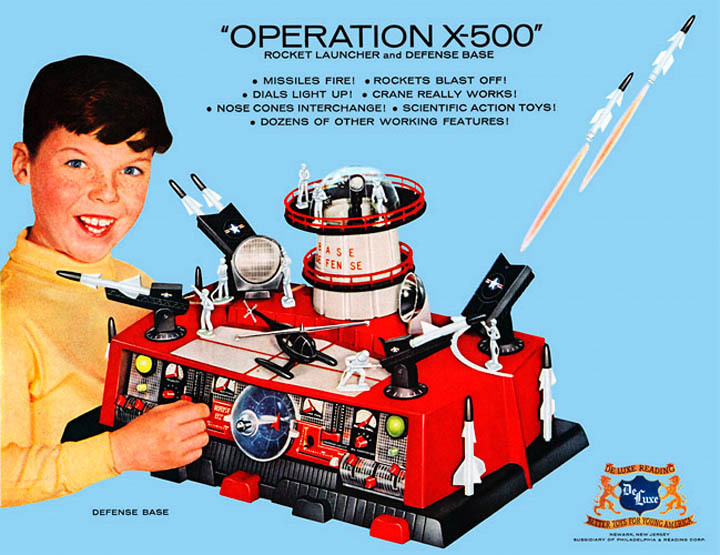 Wow!This looks like a lot of fun! Thanks for the share. 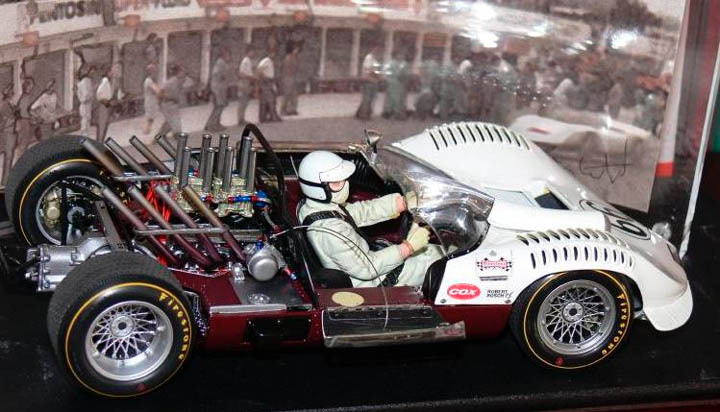 Those a definitely some of the most sophisticated slot car sets I have ever seen. I wonder how much the first one cost. 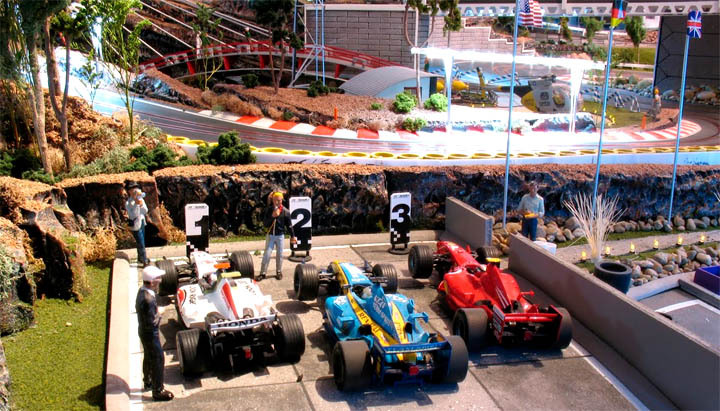 Though much smaller than in its heyday, slot racing is very much still alive and kicking. The newest genre is called Retro racing.